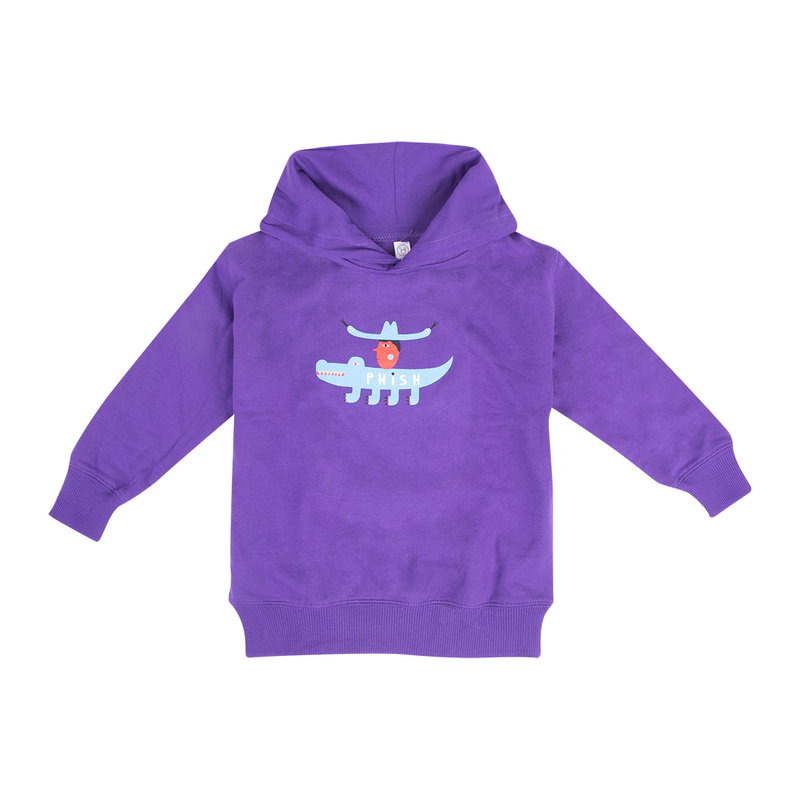 100% cotton pullover kids hoodie with Cowboy Gator printed on front. Kangaroo pockets. Fit as expected, quality fabric, printing made it through the wash without wear.